You've probably heard me gush on previous occasions that there are no bad seats at a particular venue. The venue downstairs at the Palomino Smokehouse is the antithesis - there are no good seats. Oddly enough, that's one of its charms. There are only about a dozen tables downstairs at the Palomino, varying vintages of mismatched kitchen tables with chairs rescued from family cottages. None of the tables really have a sight-line to the stage. But it wouldn't really matter if they did because once the open area in front of the stage fills up with 8 foot guys, as it will inevitably do at any concert worth its salt, you aren't going to see anything on the stage anyway. So relax. The Palomino is a very laid-back place. Nobody gets too bent out of shape about things like the doors opening at the specified time. With an original door time of 8, then 8:30 and finally 9, we would normally have been seething, but it was easy enough to just head back up to the restaurant, have another drink and listen to the band. So after filling our bellies with pulled pork and garlic fries (and trying not to breathe on anyone) in the smokehouse restaurant on the ground floor of the Palomino, we headed downstairs and pulled some chairs up to a wobbly 1970's kitchen table tucked in beside a bank of speakers. The split-log walls, plastered with posters, the dated furnishings, exposed ceiling ducts, and big round bar opposite the stage give the place a comfortably retro rec room vibe. A rec room with a really great sound system. Because, as concert-goers of a certain age, we were more concerned with a comfortable seat than a good view of the stage, we didn't really see much of the action on stage. During the entire opening set, I was able to see Shotgun Jimmie's elbow. He was wearing a red shirt, that's all I can tell you. He does have a unique and really great guitar style that the Spousal Unit was particularly taken by. Apparently so was the fan girl who parked herself directly in front of the stage. She proceeded to make herself at home, using the corner of the stage as a repository for her purse, coat and two drinks, so that she could boogey unencumbered. I was mesmerized by her because she looked exactly like our financial advisor. 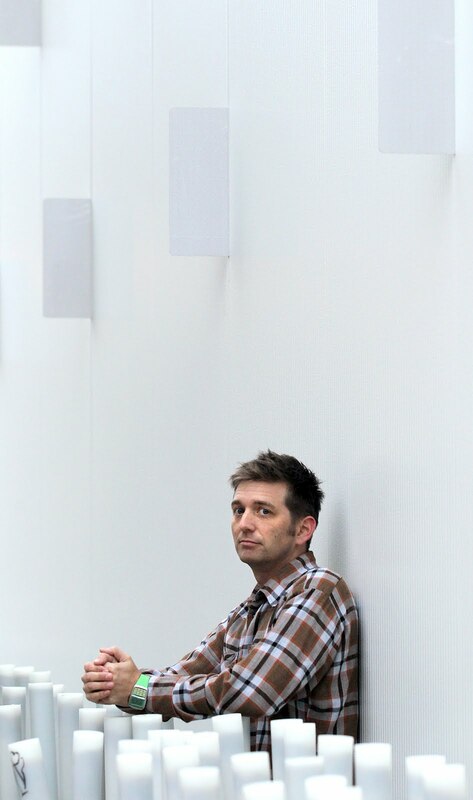 John K Samson, backed by the Provincial Band, did what he always does so well, mixed sweetly reflective and literarily-charged songs with some insanely catchy fist-pumping anthems. Gestetner, cartography, and ampersand are not words you normally hear a Friday night bar crowd singing lustily, but you do when John K Samson is the one rocking the house. We toasted Gump Worsley. We sang the entire first verse of Left and Leaving without any vocal assistance from JKS. One couple, both still in puffy winter jackets, slow-danced to Night Windows. It was a quintessential Canadian moment. For the final song of the encore, Samson made his way across the packed floor, stood on the bar with his guitar and led us in a rendition of Virtute the Cat Explains Her Disappearance. There wasn't a dry eye in the house. Any place that has pulled pork + good music has to be pretty good, although as I advance deeper and deeper down the slippery slope of crusty old farthood, I like to both sit down and see the musicians at work. Sounds like it was a great time, Barb....sorry we missed it! That's the ideal situation, Mr Anchovy, but if I had to choose between the two, the crusty old fart in me increasingly leans toward the sitting. It was dandy, Susan, but it would have been infinitely better if you had been there too! Sounds like it was a great show. I'm more concerned these days with a good seat. Standing is overrated! Agreed, Al! I have done more than my share of standing at concerts. Time for me to sit.